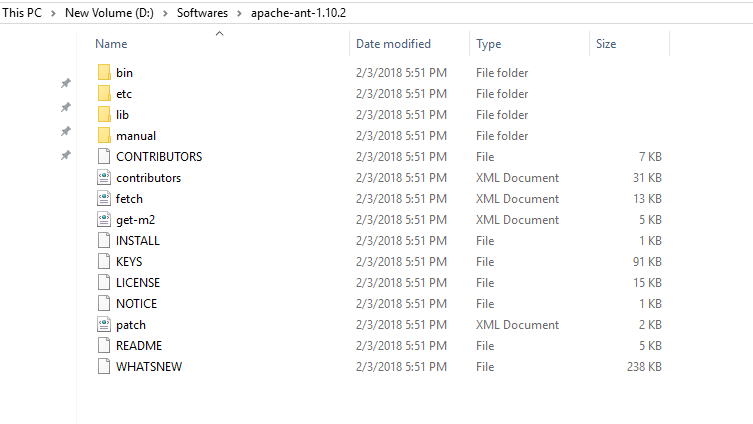 In this tutorials, I am going to show you how to setup or install ant on windows 10 operating system. Download the above-mentioned latest version and unzip the folder at your favorite location. The unzipped ant folder like below. 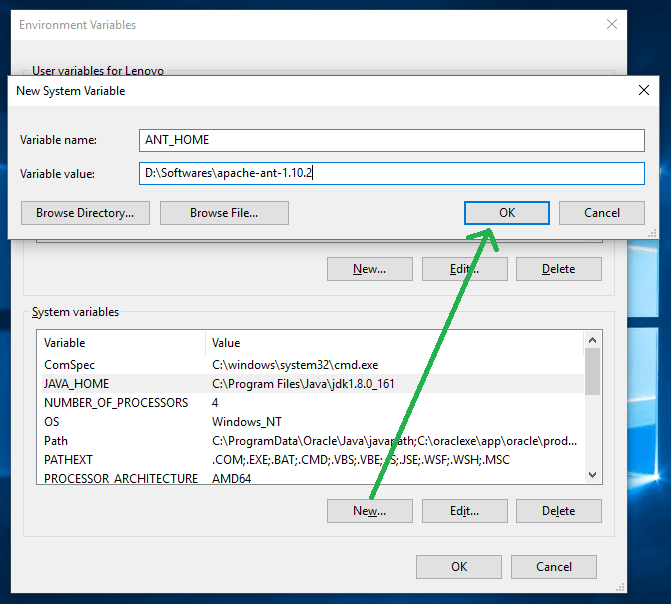 Before going to set Ant_Home, you should Set JAVA_HOME on your machine.If Java Home hasn’t been set in your machine, go through the below recommended article to set the Java Home on windows 10 and proceed further. 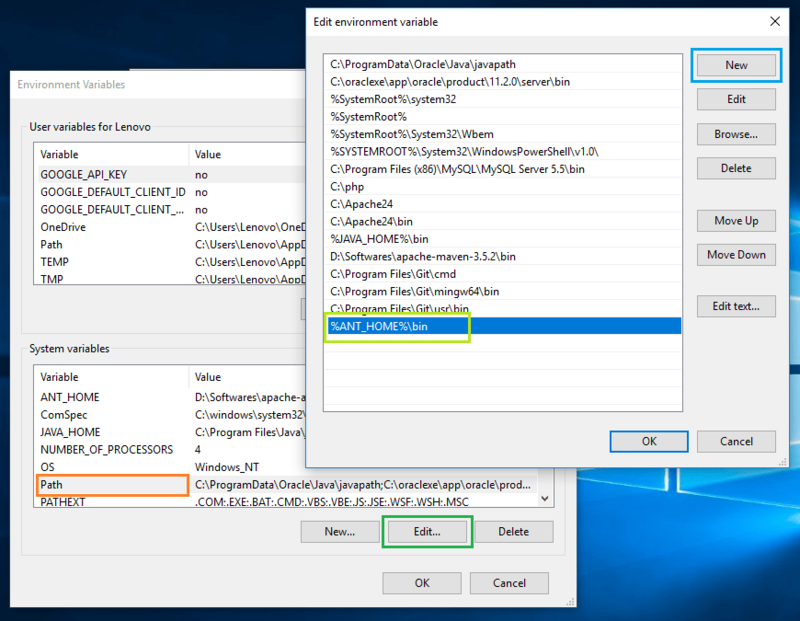 Select Path variable under the System Variable session and click on Edit, you can see Edit Environment Variable window like below. Click on New button and give path like %ANT_HOME%\binand click on OK. There you can see the installed version of ant.